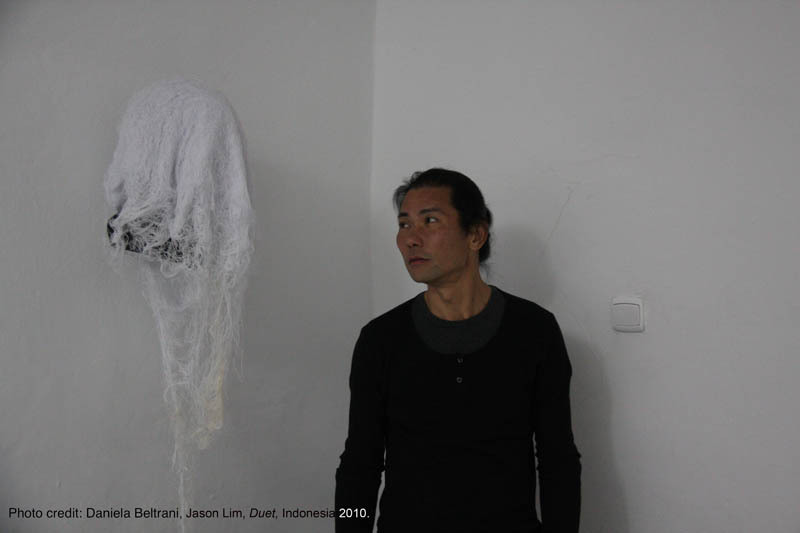 On 27 May 2011, Jason Lim's solo exhibition Duet with Still/Life, curated by Paulina Kempisty, opened at Galeria Labirynt in Lublin, Poland, where it ran until 12 June. 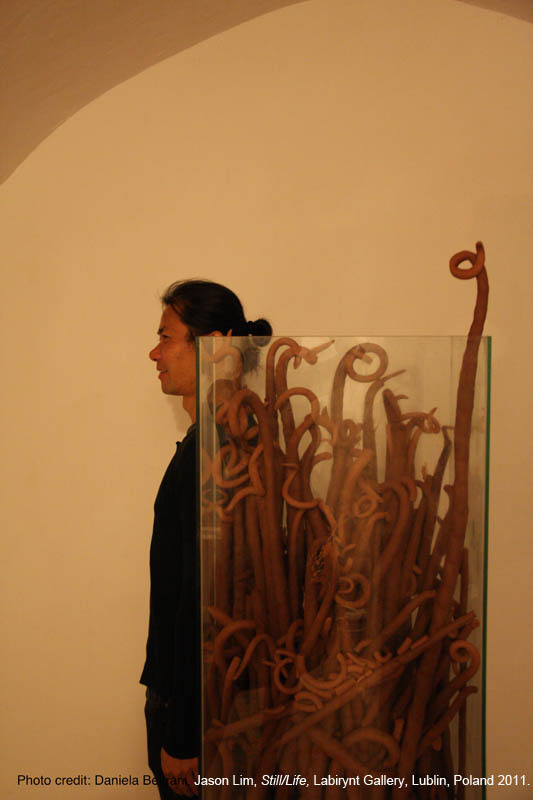 In the quaint gallery space of a 400-year-old building in the heart of Lublin’s old town, Lim's dual artistic practice, sculpture and performance art, combined harmoniously. 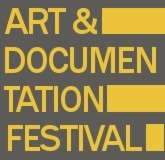 The exhibition presented a documentation of selected enactments of Duet, a previous performance, and a reincarnation of Still/Life, a sculptural installation of performative origin. 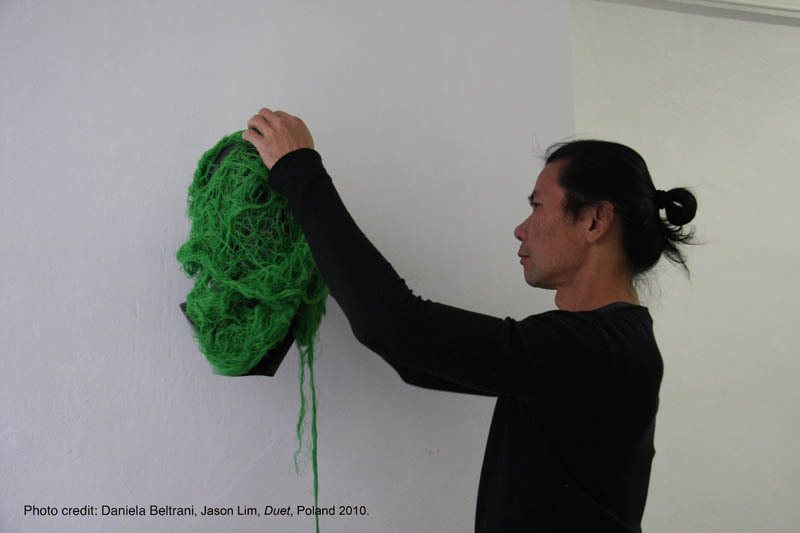 During the installation five black mannequin heads emerged from the walls only to be hidden by colourful threads, relics in performance art jargon, from Lim’s past versions of Duet. 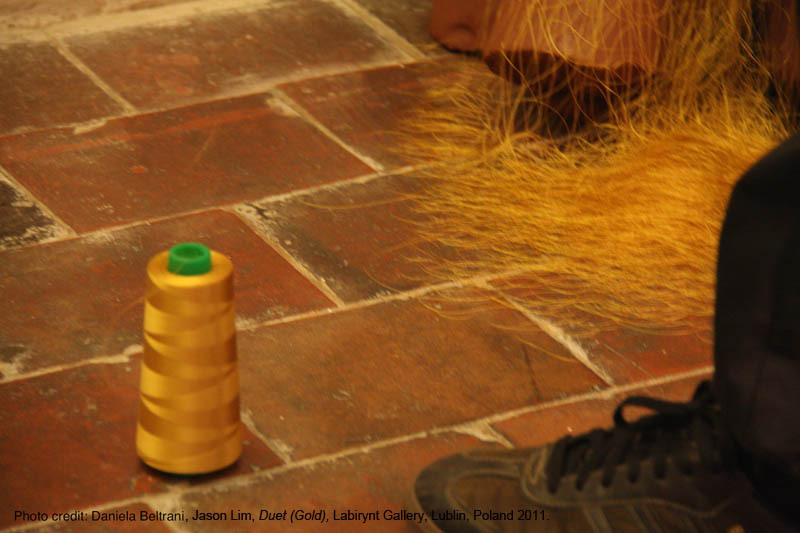 The threads were complemented by a video and four photos documenting the performance that created each corresponding relic. 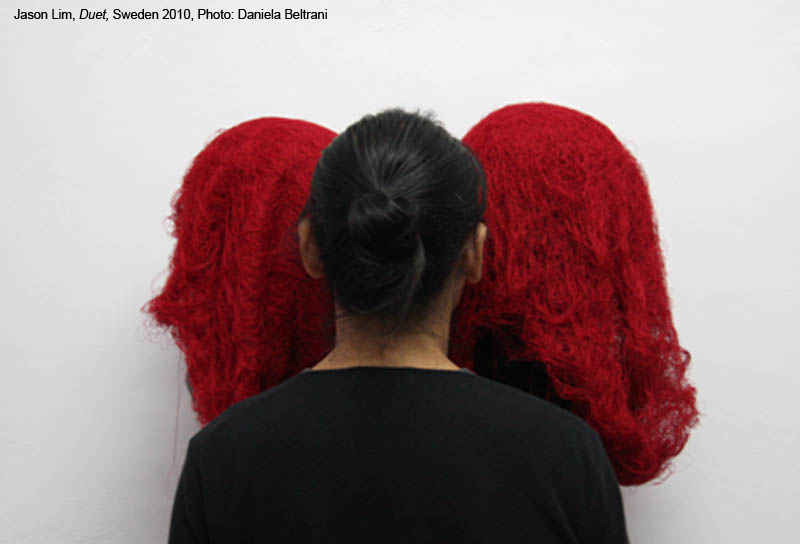 All photos captured the end of the performance, when the artist’s own head was covered by the very same thread that he had previously unspooled. 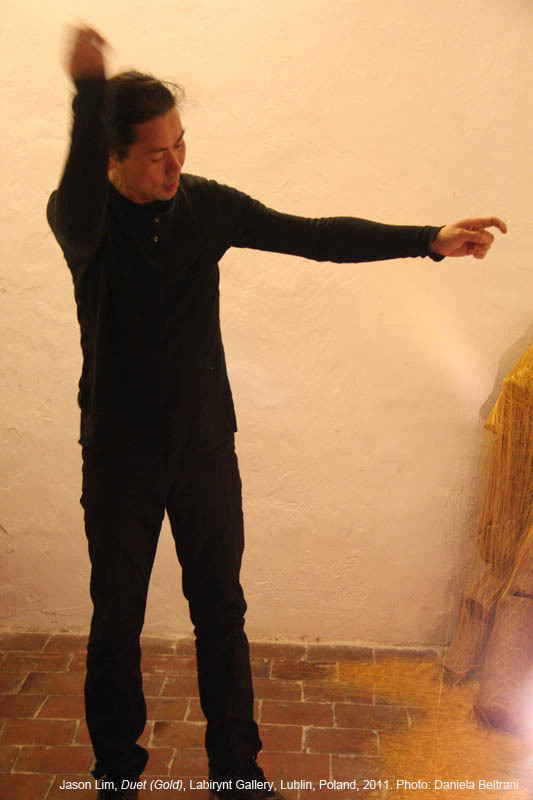 Lim gave the relics of his earlier performances a continuity in the new setting, whilst enriching them with a new performance. 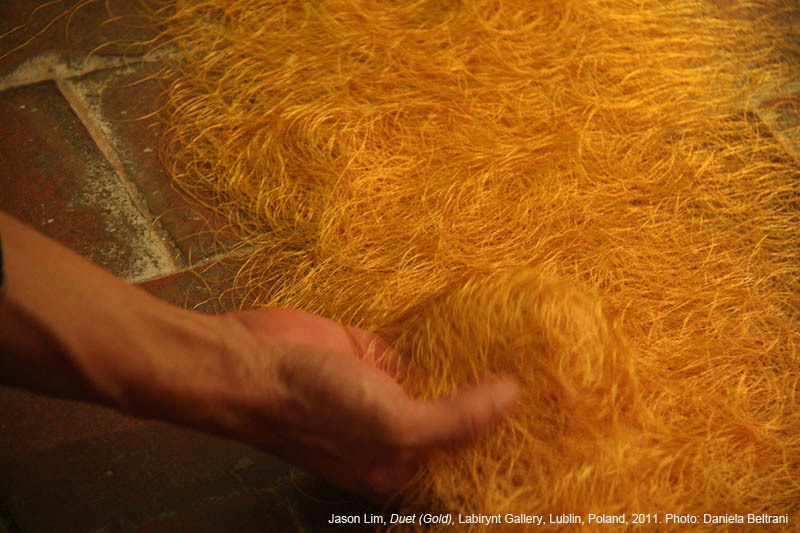 In fact, on the opening night, in the cosy basement of the gallery, Lim graced a curious audience with the same action, carried out with a golden thread, which befitted the colours of the space. He unspooled this in a corner on a pile of raw clay on the cotto floor. In the artist’s intention Duet represents a collaboration with the material for the transfer of his own energy to the object over which the thread is unspooled. In this arrangement, Lim interconnects with different ends of time. The repetition of the action rendered tangible the notion of time in its three forms: the present was slowed down so as to be captured through consciousness; the past was embodied in the consumed thread and the future in the expectations of the gesture. by Valentine Willie Fine Art, in Singapore in August 2009: three large unfired vessels were placed in individual tanks and with the added water they deteriorated. The idea behind Still/Life is an exploration which ends with nothing but raw material, a sort of reverse artwork of a performative nature or perhaps a challenge to the traditional idea of artwork. 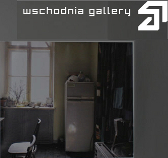 The artist’s deus ex machina, namely the addition of water during the opening in front of an audience, oxymoronically 1 gave life to an assemblage of pots, whilst ambitiously expanding the ‘still life’ genre, typical of painting, to sculpture. 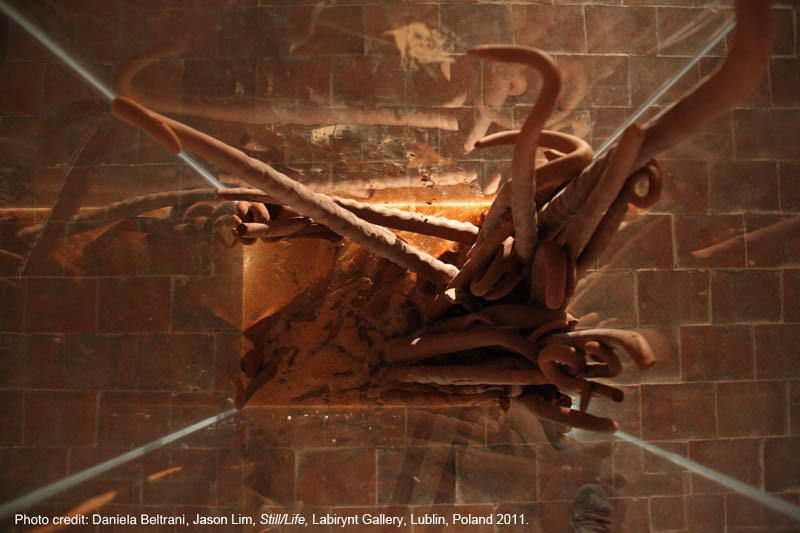 Lim repeated this during the Singapore Art Exhibition at the Singapore Art Museum, in August 2009, and the 1st Jakarta Contemporary Ceramics Biennale, in December2 009. 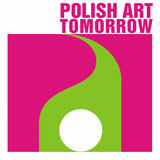 The fourth incarnation of Still/Life took place in Poland, but explored a different modality from that of previous ones. The tank had a dramatic vertical elevation, more apt to contain snake-like works inspired by the grass of the Polish fields, than pots. 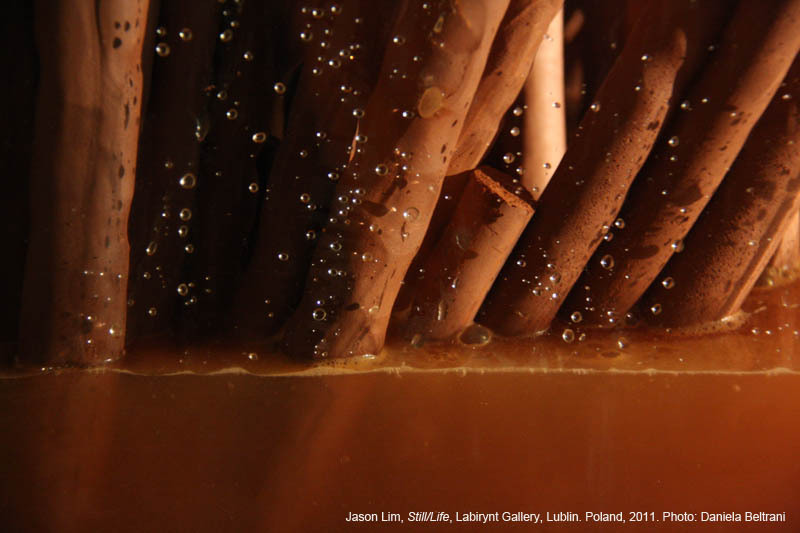 During the opening, after the Duet performance, the artist added water and initiated a similar process to that of the previous Still/Life. 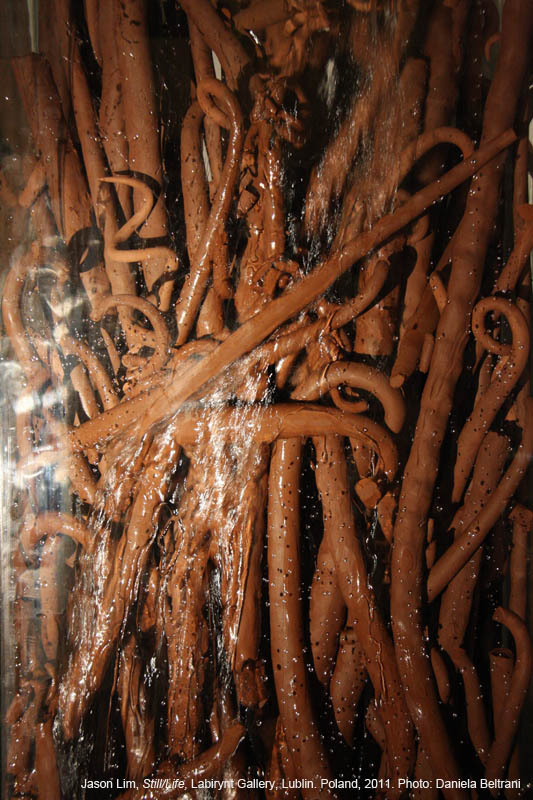 But in the densely packed and confined space, the concentrated waterfall affected the clay quickly enough to reduce its dramatic effect. For those present at the opening, perhaps the experience unfolded slow enough to absorb them, but subsequent visitors were faced with a desolate landscape, where movement was infinitesimally small and the time/space presence broken down to unsustainably slow levels.The day after the exhibition closed, during the taking down phase, the tank was emptied and its contents discarded unceremoniously: a harsh reminder that art is after all intangible experience. It is not embodied in a physical object but lives on in the memory of those who experience it. 1 Still life in Italian is translated as natura morta, literally dead nature.